When you are a Jew living in Israel, terrorists target everyone equally, from the tiniest baby, to the eldest senior citizen; whether they are religious, or secular, or somewhere in between, none are excluded from being a target. The security team knows this, so they work hard to keep their community safe and protected. But sometimes they need extra help. And that’s where you come in. 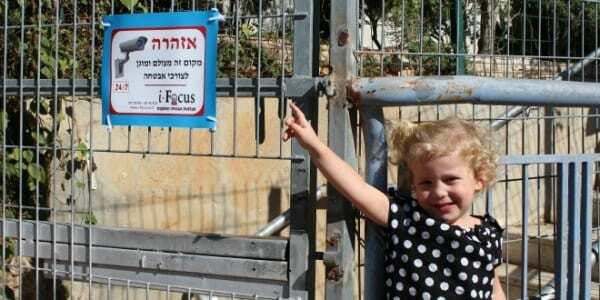 You can provide extra protection for the vulnerable families in Shaarei Tikva (Gates of Hope). Additional surveillance cameras around the perimeter of the community keep a constant lookout for infiltrators. High powered walkie-talkies ensure that Rapid Responders can communicate during an emergency situation. Mountainous terrain in the area blocks normal cellular signals, which makes these walkie-talkies vital to any emergency or terrorist attack. The community of Shaarei Tikva is grateful to have friends like you who are willing to stand with them and help keep their families safe. In September 2012, the head of Shaarei Tikva’s security department was murdered when he tried to stop a terrorist who was attempting to kill some IDF soldiers nearby. Through his sacrifice, the terrorist was apprehended and the IDF soldiers were saved. The community honors his memory by not succumbing to fear, by refusing to give in to the terrorists, and by holding on to their community. You can help them stay strong and safe in Israel by giving your best gift today. 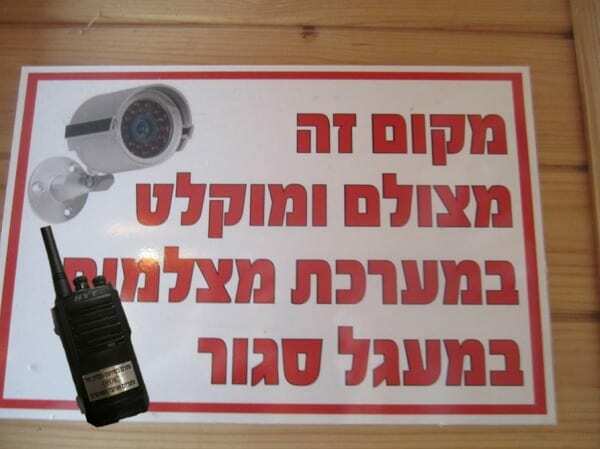 Your donation today will purchase additional surveillance cameras and walkie-talkies for the Rapid Response volunteers in Shaarei Tikva. You can ensure that every person, young or old, secular or religious can have peace of mind. Despite the difficulties of living in Samaria, the people of Shaarei Tikva are making the mountains bloom — they are truly a Gate of Hope in Israel. You can help save lives in Israel through your gift today.